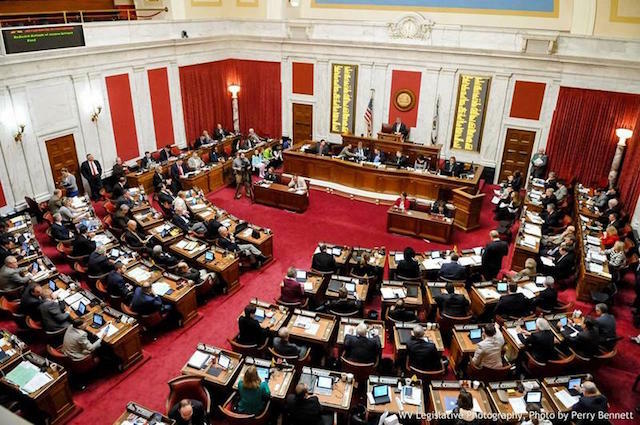 A bill is currently making its way through the West Virginia legislature to set the table for legal sports betting in the Mountaineer state. Dubbed the West Virginia Lottery Sports Wagering Act (the “Act”), it grants authority to the state’s Lottery Commission to promulgate sports betting regulations, and manage licensure and regulation if and when the federal ban on sports betting gets lifted. 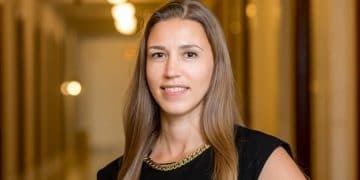 Last Friday SportsHandle caught up with Danielle Boyd, general counsel for the state’s Lottery Commission, to discuss how the Act was formulated, what kind of economic impact legal sports betting would have on the state, and how long the state’s casinos would need to get ready to take a wager. While numerous other states are getting up to speed on the possibility of legal sports betting, West Virginia began preparing for over a year ago and has emerged as an early leader with comprehensive and sensible legislation. On that front, we also discussed the “integrity fee” that the NBA and MLB are pushing on other states, which is throwing a wrench into other states’ debates. 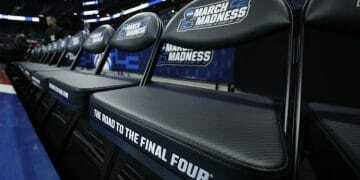 SportsHandle (SH): Let’s first talk about licensure and where sports betting would take place. Have all five of the state’s casinos expressed interest in obtaining a license? Danielle Boyd (DB): Absolutely, and we are actually really proud of this bill and the effort that went into it because it reflects a joint effort amongst representatives from all of our state casinos. We worked on it for several months, and in conjunction with getting the study from Eilers and Krejcik Gaming, we can kind of see what revenue figures we might be looking at and the impact we might see. We also incorporated feedback from our properties and what they expected their proposed infrastructure to be for building sportsbooks, what kind of investments they were willing to make, and we do expect full participation when and if we can move forward with implementation. SH: Were any of the properties more involved in the process than others? DB: The racetracks were the most involved. We have a boutique casino at The Greenbrier resort. The difference between the racetracks and the Greenbrier is that all of our casinos that are also attached to racetracks are incorporated to operate in other states. For instance in the Eastern panhandle, Hollywood Casino is owned by Penn National, and obviously Penn has a lot of market shares in a lot of other states. So we fortunately had the benefit of having their corporate representatives come in and speak with us. SH: And isn’t the Mountaineer Casino owned by Eldorado Resorts? DB: Yes, and Delaware North operates Wheeling Island. They all sent corporate members that have experience with operations in Nevada. 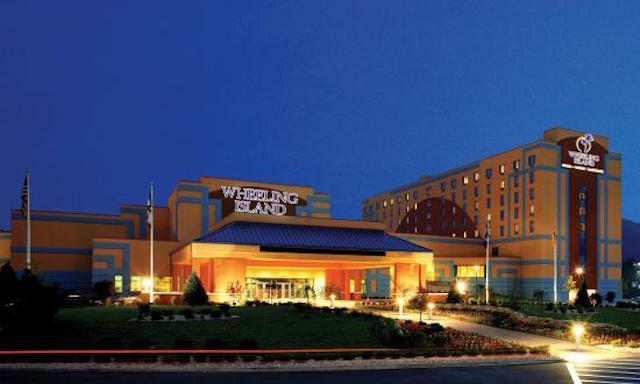 We have a great partnership with our casino licencees and the property owners in West Virginia. We’ve been working with pretty much the same companies since 1994 when we put the first slot machine in Mountaineer Park, and it was a very smooth process where we discussed and negotiated certain provisions into the bill that ended up getting introduced. And once it was introduced we’ve worked pretty seamlessly together to get it through. Wheeling Island Hotel-Casino-Racetrack, located on Ohio County. SB: Regarding possible investments that the casinos might be making, have you heard from any of those five what kind of physical spaces they might be creating for sportsbooks? DB: We conducted a supplementary survey that was more about employment. As far as space is concerned, we don’t know the exact parameters. The bill also allows for mobile applications and other digital platforms so that we can have mobile betting. The casinos will all be able to have their own secure, branded mobile apps and platforms. I believe the study told us up to two-thirds of our revenue that would most likely come from mobile. 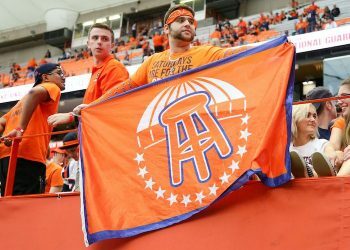 So we’re looking at that, but also we know that all of our properties do intend to have on-property sportsbooks, and plan to make improvements to drive traffic back into the casinos for sports wagering. SH: I’ve also read you guys expect to draw traffic from neighboring states. DB: One of the interesting things about West Virginia is that we only have about 1.3 million people that are gaming age, population based. But we have about 10 million people that are within 90 miles of one of our casinos, so there’s a great potential to drive that traffic into West Virginia, which obviously is going to put a lot more money into our economy than just the gaming revenue. We’re really looking forward to that opportunity. We know that Pennsylvania has already passed a law, so one of our neighbors has acted, but we were very, very successful in the implementation of racetracks, video, lottery and table games, because we were the first market in those areas. We have our casinos that have a majority of patronage coming from out of state, so our properties have been very successful at attracting out-of-state client-base, they already have the existing databases, and I think that with the ability to use the mobile apps and cross market, we could really see a big impact on the economy of West Virginia. It’ll just be really good for the state. SH: If the Supreme Court strikes PASPA, which could happen as early as March 2, how long do you believe it would take the casinos to prepare to take the first wager? DB: We understand from our casinos that they believe that there will be about a 90-day period them to implement, and that of course is best case scenario. In the bill that’s currently pending in the legislature, it allows us emergency rulemaking authority, and we will have certain regulations done according to minimum internal control standards. We intend to begin working on getting those in place immediately upon passage, and working with industry experts to make sure that we have everything that we need and we’re implementing in the most secure way to set up West Virginia for success. I think that as long as we’re working contemporaneously with the properties and we’re all working together on it, we should be able to get it up and running pretty quickly. SH: There’s been debates in multiple states about potential economic impact. I’ve read one of your delegates said it might be about 175 million over five years in West Virginia plus ancillary benefits. Is that about on par with projections you’re looking at? DB: Well, the thing about looking at revenue projections and total economic impact is there’s really not a comparable model, and so we really don’t know exactly what we’re gonna see, and it all depends on so many variables that it’s really hard to pin down. When one of the delegates was talking about the one-hundred-and-seventy-plus number, I believe that was a gross figure of total economic impact and would include other taxes that may be collected. We’re trying to be conservative about the expectations here, because we do recognize that sports betting is probably not going to be a huge windfall of gaming revenue, but it’s an amenity that the casinos can offer that will bring people in and be an economic driver. That said, we do believe that the range that was provided in the study in this conservative scenario was between nine and 17 million, and it looks like on each of the estimates, the revenues would continue to increase until about year three, and then stabilize, but increase just a little bit more until the fifth year after implementation. SH: Since the lottery is handling regulatory matters in your state, might we see something in the future like what the Delaware Lottery has — with about 100 licensed retailers, convenience stores, gas stations and such where people can place a wager the same way as lottery tickets? DB: At this juncture, the only thing that we’ve given serious consideration to is this first move toward implementation. It was natural for us to start with our casinos, given the significant investment they’ve made in our state, and the return that we have received from the gaming revenue funding education, tourism, veterans and a lot of discretionary programs that otherwise wouldn’t have been funded through the state budget, so we thought that was the natural place to start. SH: One more question — on the “integrity fee” that NBA and MLB lobbyists are pushing. What do you make of the leagues’ points, and how much of a push have state lawmakers seen from them? DB: We had representatives and lobbyists from the NBA and Major League Baseball in Charleston yesterday. We’re not really making much of the points that we understand that they’re making, given that we know that at the level of activity and the illegal market with wagers, it seems to suggest that any issues that they may have had with integrity of the game would already be on things that they were monitoring and things that they were overseeing. We also recognize that while it sounds like a minor amount with the 1% tax, when they’re pushing the integrity fee, and that is one thing I know that they have been approaching members about, when you’re looking at that 1% on handle it actually amounts to a much larger portion, which I believe is around 20%. We know that we’re dealing with a low margin business with sports betting, and that it doesn’t scale in the same ways that we’re used to seeing in the casino environment, so we are very much against that. We don’t anticipate that the one percent fee will be amended into the bill at this point. And there doesn’t seem to be an appetite from leadership. I know that the chairman of the judiciary committee, when the bill went through there, there was no one there to speak on behalf of the leagues. So, I do think we might see some representatives there on Monday on behalf of the leagues, given that I know they have hired additional lobbyists and they were working on talking to members this week, but I don’t think at this point that that one percent fee or any of the other proposed changes from the leagues will be amended into the bill.